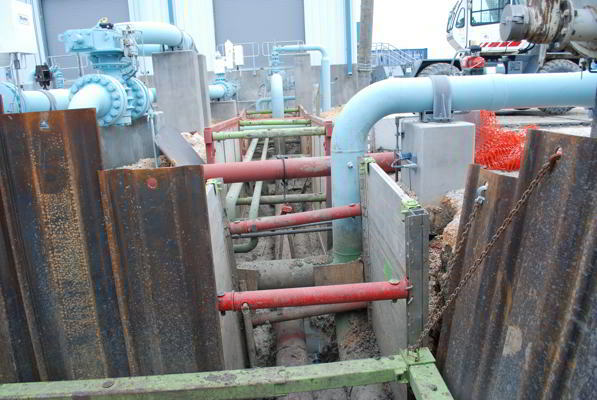 Pipeline excavation safety is critical to the repair, maintenance and production of oil, gas and petrochemical facilities throughout the United States. 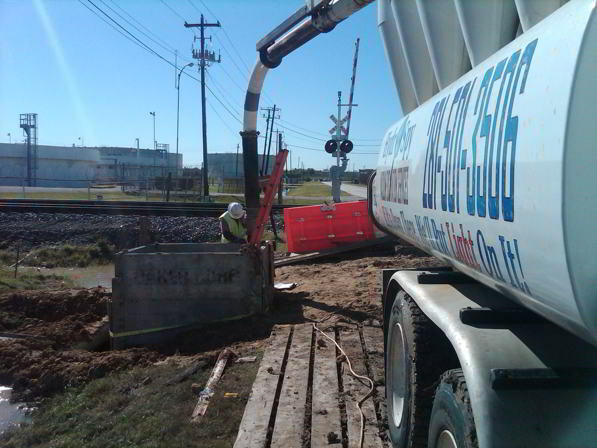 Hydro Spy provides a variety of hydro excavation services that support the safe, nondestructive excavation of buried pipelines. 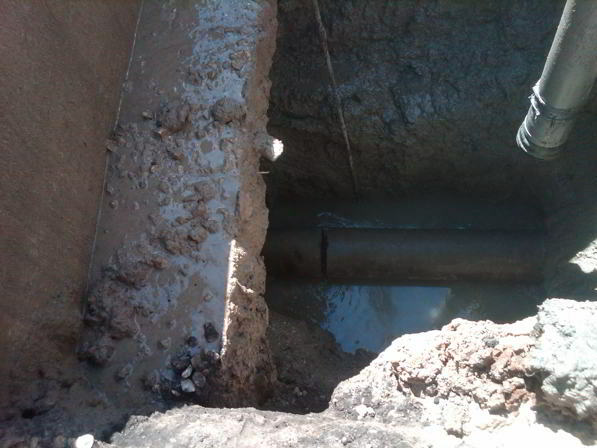 Our pipeline remediation clients call us especially when they need the excavation to be done quickly and without delay due to the inability of conventional excavating equipment to dig in the area. For example, some of our clients have had track hoes delivered to the site and but then realized five minutes into the excavation procedure that they could not get the bucket down between adjacent or crisscrossing pipelines. With vacuum excavation trucks, access is never a problem. 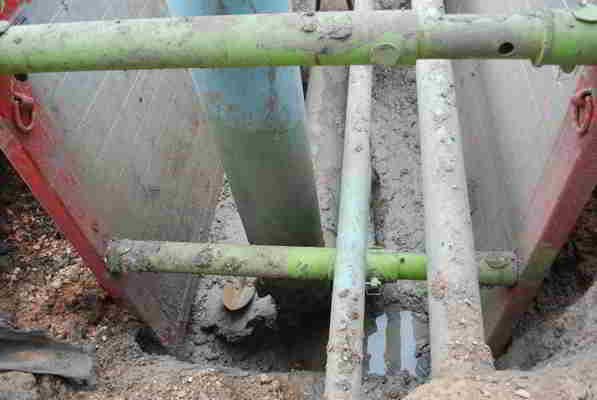 We can excavation in the narrowest of slots, creating clearance around pipe and other underground structures. Our crews are Operator Qualified with an extensive background in hydro excavation methodologies like sloping, benching/stepping and grading. 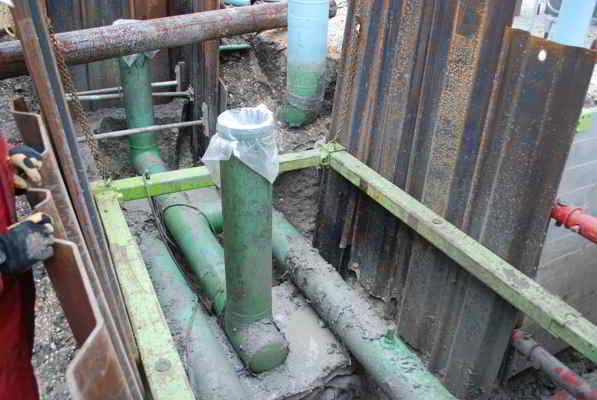 We do small pits, big pits, deep pits with various engineered shoring apparatuses (i.e. sheeting, shielding, steel and aluminum hydraulic). 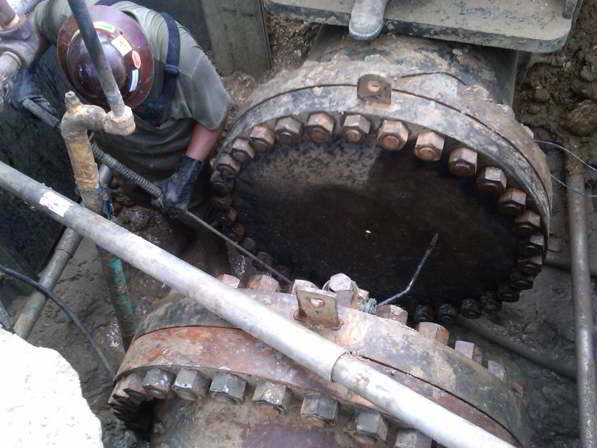 We excavate in hard-to-reach places, under existing pipeline configurations. 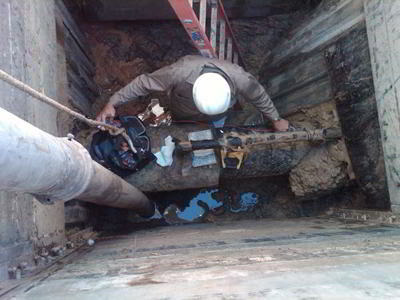 Another great advantage of our pipeline vacuum excavation services is our ability to keep the pit dry of ground water for welders, pipe fitters, x-ray technicians and inspectors. Submersible pumps might work in some situations, but for deep pits you will want to consider the use of our GapVax hydro excavators, capable of pulling 5300 CFM of material (wet or dry). Whether the excavation is to take place in a plant or refinery, on a right-of-way, along a road, in an industrial, commercial or residential setting, Hydro Spy will get it done with surgical craftsmanship, saving you time, money and the risk of damage to any underground facilities. 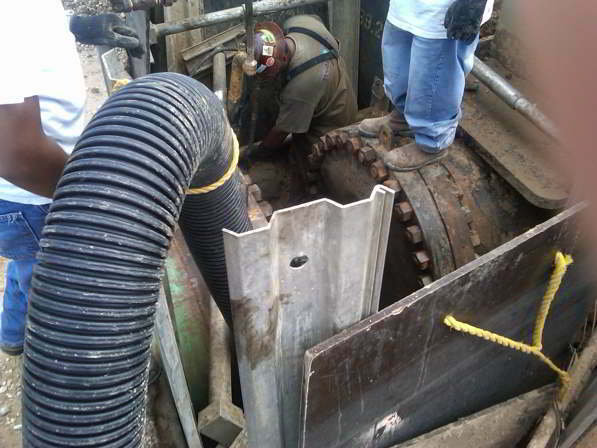 We currently partner with many pipeline contractors who have benefited from our expertise. Call today to add Hydro Spy to your database of approved vendors.